A young stallion with a very typey face and a very elegant topline. 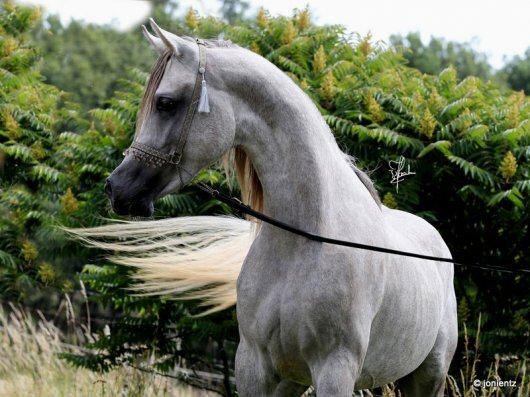 His father is stallion Ajmal Tameen (Ansata Hejazi x Tabanya, back to Tamria II), his mother is KP Naima. KP Nakib Ibn Tameen was awarded with Gold Premium 2016 and is a member of our Nana-family (Koheilan Rhodan). If your interested to see some of his offspring, please contact us. KP Al Nakib is CA and SCID free.